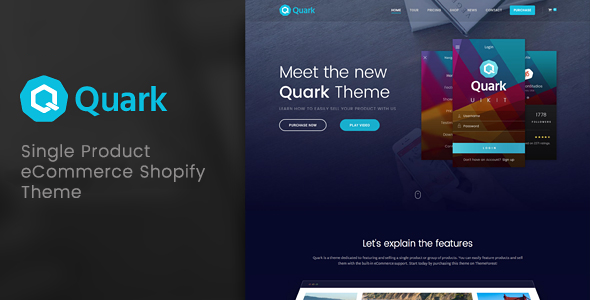 Quark is a Modern & Responsive Ecommerce Shopify Template suitable for a single product showcase or multiple products of same range. It has all the necessary sections/pages to sell or showcase your product(s). eCommerce Support ? Start selling products with this theme!